Just finished Defending Chloe you didn’t disappoint your fans. 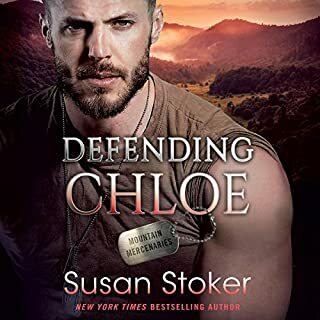 The book is awesome I will not be spoiling it for you guys,but I definitely recommend this book along with all Susan Stoker’s books . I promise you will fell in Love and hook. Obsess with this book and Susan. Can’t wait for the next book from her. I love Milly T. books but to me this book feel there was no conclusion . Oh my gosh, I'm speechless this book is the bomb digging bomb. I love the plot the twist the suspension. thank goodness I listen to it instead of reading cause I would of jump to the end. I couldn't stop listening to it. I'm hook o hope the rest are as good as this one. I'm not going to discribre this book to no one. you just have to find out yourself. I promise you will not be disappointed. you should try audio. the narrator is awesome.